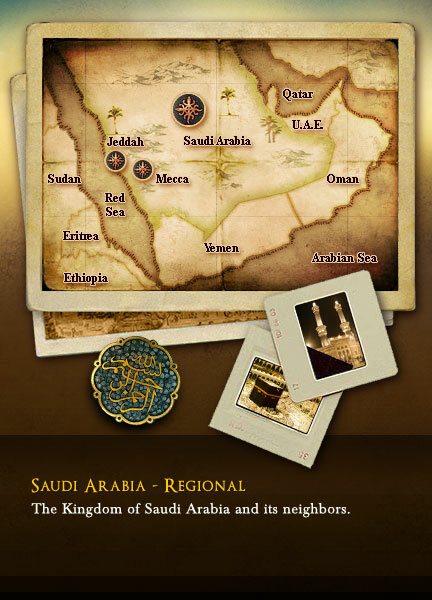 The Kingdom of Saudi Arabia and its neighbors in the Middle East and Africa. The pilgrims travel constantly between Mecca, Arafat, Mina and Muzdalifah. See how close they are to each other. The sacred territory where pilgrims undergo spiritual cleansing before entering Mecca. 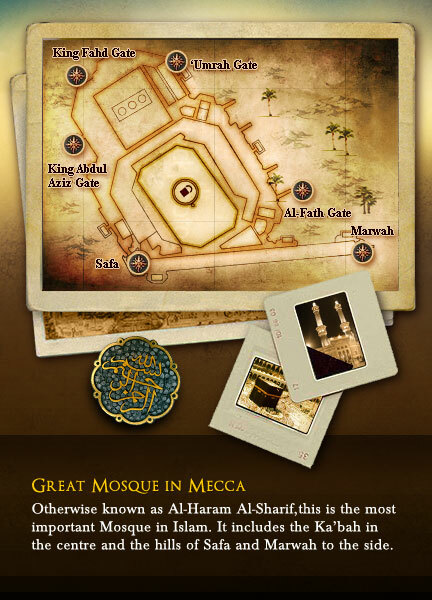 See the floor plan of the Great Mosque in Mecca, one of the largest in the world. 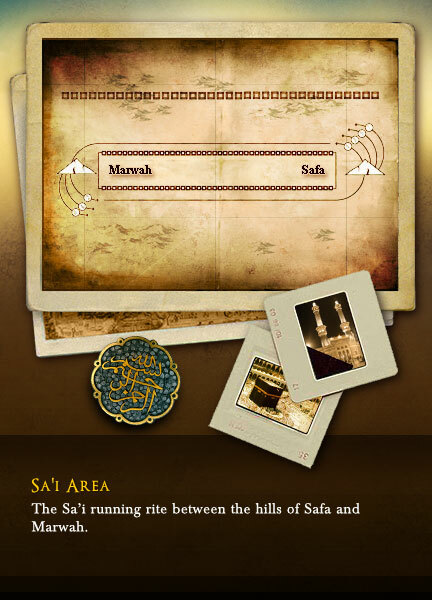 See where the pilgrims run between two hills, Safa and Marwah echoing Hagar's search for water. 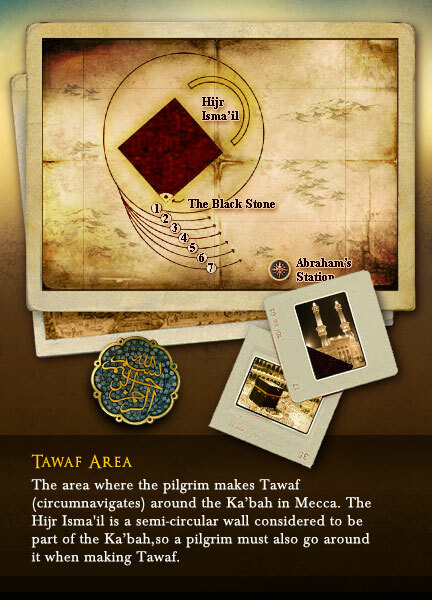 See the diagram of the Grand Ka�bah in Mecca explaining how the pilgrims circle it seven times. 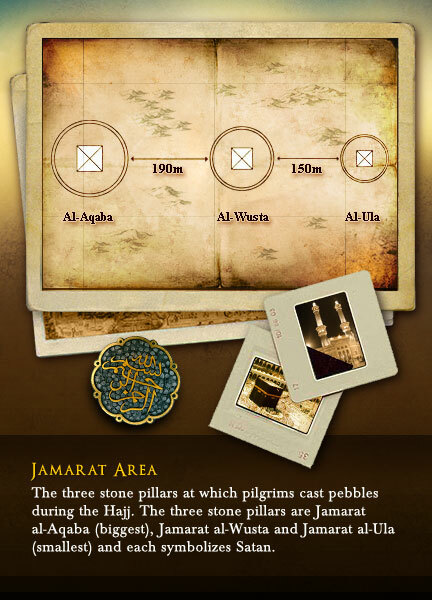 See the location of the three stone pillars in Mina where pilgrims throw stones during the Day of Sacrifice.